"Wonder what I'll need to wear to that meeting?" Paul reminds us that there is a set of clothing that is always in style. We wear this clothing because we are special. This clothing is from the Ultimate Designer's collection called character and is best worn when with other people. 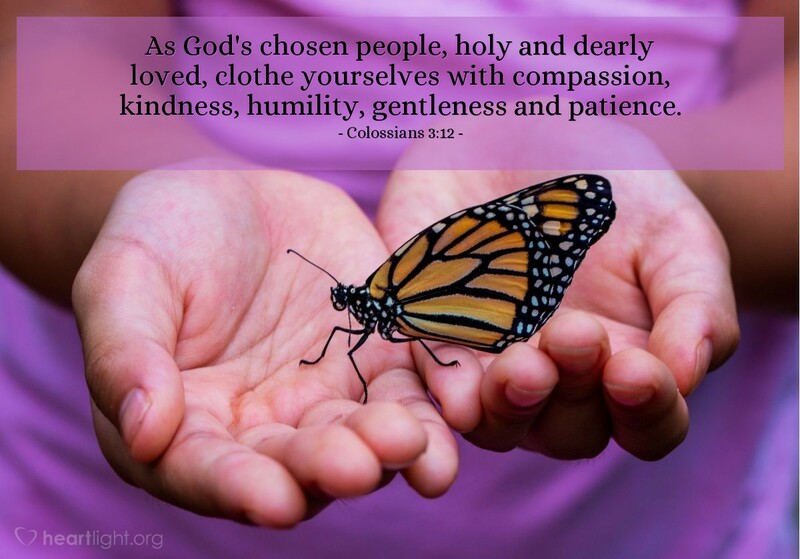 These qualities are hard to wear, but always a blessing to those who meet us when we're decked out in this wardrobe. Abba Father, thank you for bringing me into your family. May I never disappoint you in the way I treat others. May they see in me, the qualities of character that can only be attributed to your presence in my life. To you be the glory and the honor, forever and ever, in the name of Jesus my Lord. Amen.